MISSISSAUGA, ON, Oct. 25, 2017 /CNW/ - The key to surprising the people on your holiday shopping list with a gift they'll truly cherish and enjoy is giving them an upgrade that enriches their experiences. This season Nikon Canada has suggestions for what to give to photographers, golfers, travellers and kids, including stocking stuffers and a new camera at the centre of the parcels under the tree. Hi-resolution images are available for download in this album. Weatherproof and shockproof for the cliffs, the sea and the tundra, the tough-as-nails COOLPIX W300 goes where other cameras fear to tread. Bring its 5x optical zoom lens into water as deep as 30m while SCUBA diving, or record a midwinter time-lapse in temperatures as low as -10°C. It's also constructed to shrug off a drop from 2.4m high. A wide-angle action camera for the wide-open world, the KeyMission 170 sports an f/2.8 aperture for an immersive first-person view that performs well in low light. It's also compact enough to follow you everywhere. The long-awaited D7500 shares its 20.9MP image sensor with Nikon's flagship DX model, the D500, putting 4K Ultra HD video and game-changing resolution in the hands of a new generation of creators. The 18-140mm kit lens will handle nearly every photography scenario, from portraits to distance shots. Every golfer needs a laser rangefinder. 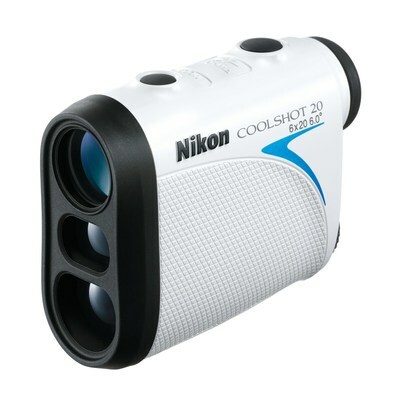 With an easy-to-use one-button push, the COOLSHOT 20 laser rangefinder continuously measures distances to bunkers, fairway ends and the flagstick. Rainproof and just 4.4 ounces, it's ready to play whenever you are. Sharp binoculars are a must-have for cruises and sight-seeing in the wild. At an MSRP of just $179.95*, Nikon's PROSTAFF 3S 8x42 binoculars provide a vignette-free field of view, even when wearing eyeglasses, and the optical system is crafted from lead-and-arsenic-free Eco-Glass. A 50mm portrait lens for every lens kit, the AF-S NIKKOR 50mm f/1.8G would be appreciated by all photographers, no matter their skill level. It captures sharp portraits with a beautiful background blur (or bokeh, in photography parlance). 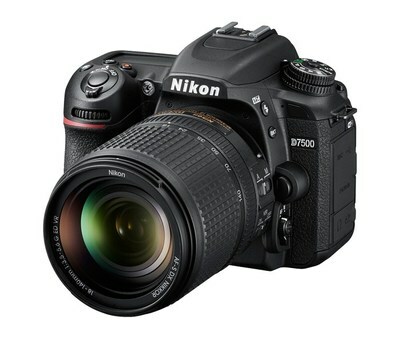 At just $264.00 MSRP*, it's an affordable upgrade that meets Nikon's standards for quality and precision. New DSLR owners will need a workhorse "second lens" to get the most of the large sensors in their cameras. With a massive 16.7x zoom range, from wide-angle to super-telephoto, the AF-S DX NIKKOR 18-300mm f/3.5-6.3G ED VR can photograph just about anything – portraits, concerts, group shots, interiors and much more. 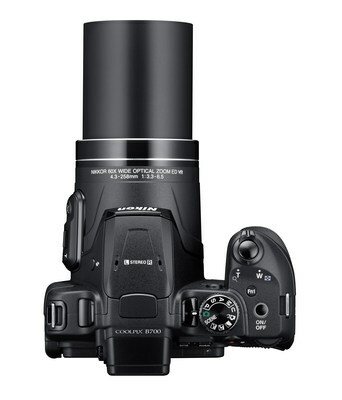 A quiet super-telephoto lens, the AF-P DX NIKKOR 70-300mm f/4.5-6.3G ED VR is ideal for shooting sports and animals. Nikon's pulse motor makes autofocus fast and almost silent. Up close, the 70-300mm is also a capable portrait lens. More experienced photographers will appreciate a good speedlight like the SB-700 AF, which puts the photographer in control of lighting. Portable and bright, it can be set up and triggered remotely when used with Nikon's speedlight system. For intermediate photographers looking for a bargain this holiday, the D5300 is now available at an MSRP of $669.95* for the body only or for $799.95* with an 18-55mm lens. A reliable crop sensor DSLR, the D5300 comes with built-in Wi-Fi and a swivelling LCD screen for shooting comfortably from any angle. People stepping up from a smartphone will enjoy the D3400's advanced features, such as low-light shooting, optical zoom with its kit lens and capturing sharp images with speed. There's also a built-in Guide Mode to walk them through advanced settings. It doesn't just teach people how to use the camera – it teaches them how a good photo comes together, little by little. An easy, affordable superzoom with 4K resolution, the COOLPIX B700 packs an astonishing 60x optical zoom that can capture birds in flight and other distant subjects. The lens can expand into a wide-angle for dramatic landscapes and portraits. Since the company was established in 1917, Nikon has cultivated its status as a pioneer of optical technologies around the world. Guided by a corporate philosophy of "Trustworthiness and Creativity," Nikon provides a wide range of products and services globally by harnessing advanced opto-electronics and precision technologies. Nikon is proud to celebrate its 100th anniversary in 2017. For more information about Nikon's 100th Anniversary, please visit www.nikon.ca/100th. Nikon, At the Heart of the Image™, is a world leader in digital imaging, precision optics and photo imaging technology; globally recognized for setting new standards in product design and performance for an award-winning array of equipment that enables users to tell their stories through amazing photos and videos. Nikon Canada distributes consumer and professional digital SLR cameras, NIKKOR optics, Speedlights and system accessories; COOLPIX compact digital cameras; 35mm film SLR cameras; Nikon software products and Nikon sports and recreational optics, as well as the Nikon 1 compact interchangeable lens camera system and the KeyMission line of action cameras. Nikon Corporation, the parent company of Nikon Canada, recently announced the production of 100 million NIKKOR lenses in 2016, creating a new milestone in Nikon's heritage of superior optics. All Nikon Canada products are sold through a network of Authorized Nikon Canada Dealers. For more information on Nikon Canada and its products and services or to find an Authorized Nikon Canada Dealer, visit www.nikon.ca.